Huge Savings Item! 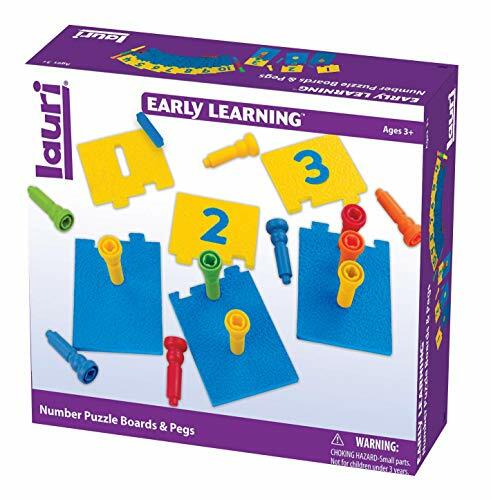 Save 12% on the PlayMonster Lauri Number Puzzle Boards & Pegs by PlayMonster at GB Toys. MPN: 2447. Hurry! Limited time offer. Offer valid only while supplies last. Kids learn early math skills when they play with Number Puzzle Boards & Pegs. This teaching tool provides progressive challenges as kids advance. If you have any questions about this product by PlayMonster, contact us by completing and submitting the form below. If you are looking for a specif part number, please include it with your message.